We are a leading Manufacturer of ball valve assembly system and ball valve rotator from Ahmedabad, India. With our well established infrastructure and diligent work force, we are engaged in offering Ball Valve Assembly System. Our offered assembly systems offer a helping solution for valve proper clamping and tighten the stud. 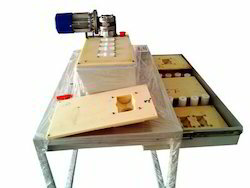 Our customers can avail these assembly systems from us in various customized options. Also, we offer our entire range of assembly systems in different specifications. We hold expertise in manufacturing, exporting and supplying an ample range of Ball Valve Rotator. The offered valve rotator is manufactured by our professionals in strict adherence to the market standards at our production unit. This valve rotator is tested against every set parameter to make certain default free range. 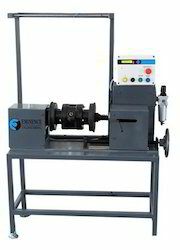 Offered valve rotator is available in various specifications and can be customized as per with the customer’s needs.